Cie Zig Zag Universe Puppet Show a Hit! 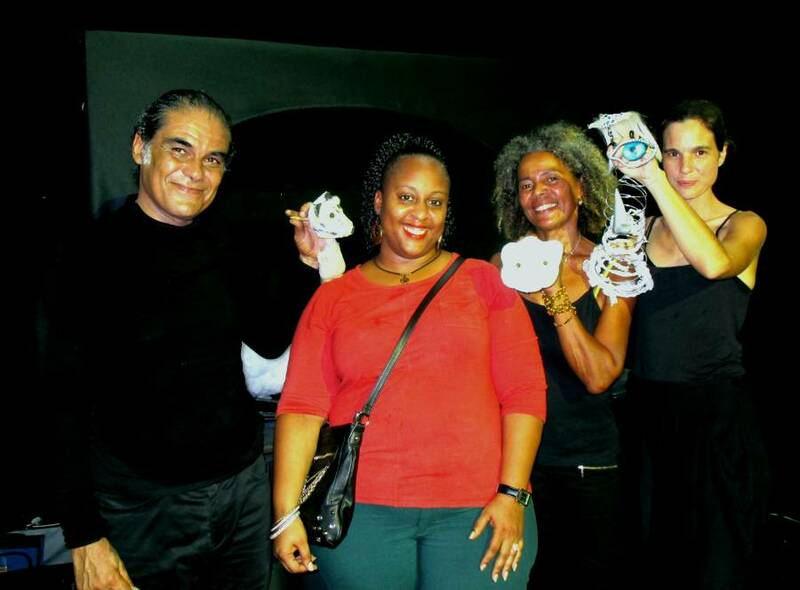 By all accounts, the children and their parents thoroughly enjoyed the Universe presentation put on by the professional puppeteers from Cie Zig Zag of Martinique, on Saturday 3 June at Marryshow House Theatre, hosted by Alliance Française de la Grenade (AF). The weather hampered more of a turnout, but for 70 plus who braved the rain, it was a treat. The audience was enthralled with the handmade puppets, the light show and the storyline, about climate change and plastic in the oceans, and the search for Great Bear by Sheriff Rififi, guardian of the stars. In the audience with their young charges were the past Director of AF, Magali Bongrand–Henry, AF executive member and French Honourary Consul Mathias Dorel. Current director of AF Ilona Forte-Gilbert welcomed the audience and introduced the performers, before settling down to enjoy the show with her children. At the end of the performance, several children and a handful of curious parents crowded the stage for a close-up view of the handmade puppets, as well as get answers to their many questions. Two young people won special door prizes courtesy AF: a free day at the upcoming Summer Camp. The puppet show is part of Alliance Française’s cultural programming for 2017. Funds generated from this and other AF events, including the upcoming Summer Camp (10 to 21 July) support the work of the Grenada Alliance. For more information on upcoming events, to donate or volunteer your time or services, please call 440 0984.